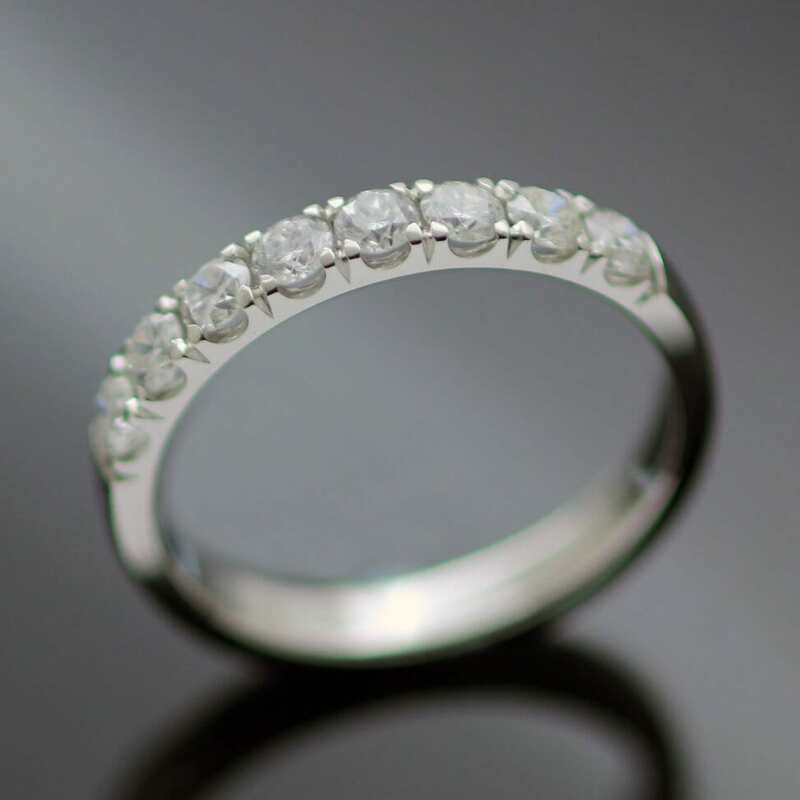 A stunning handcrafted half Eternity band made with solid, dazzling Platinum and adorned with eight beautiful Round Brilliant Diamonds to create this unique, one of a kind bespoke Eternity ring. 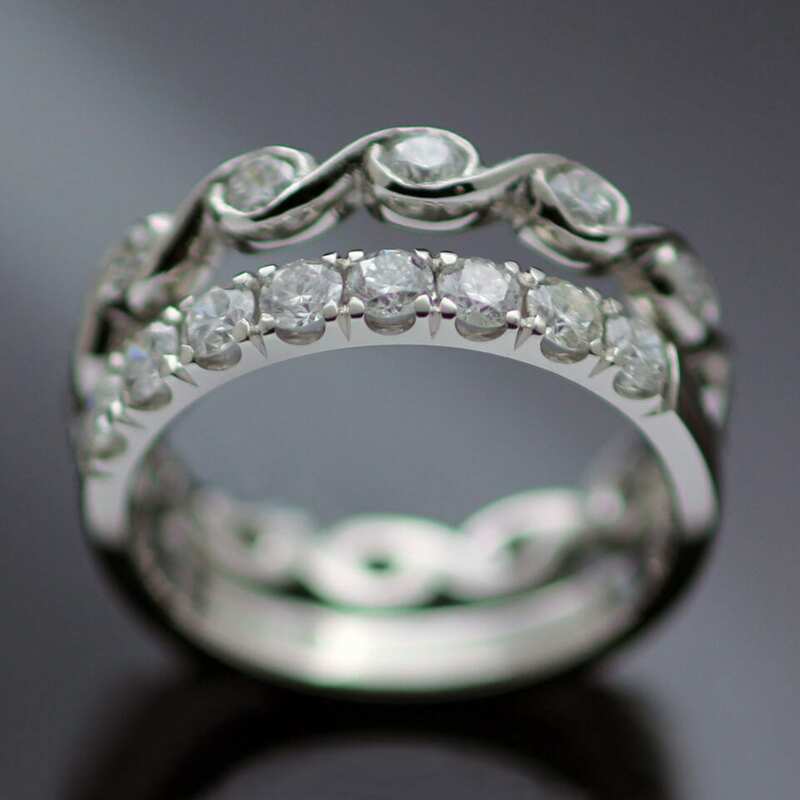 This timeless Eternity band design features a fishtail set half band of Diamond gemstones, expertly handset in a platinum band. This opulent design is finished with a high shine polished finish to enhance the icy sparkles of the gemstones and dazzling Platinum. 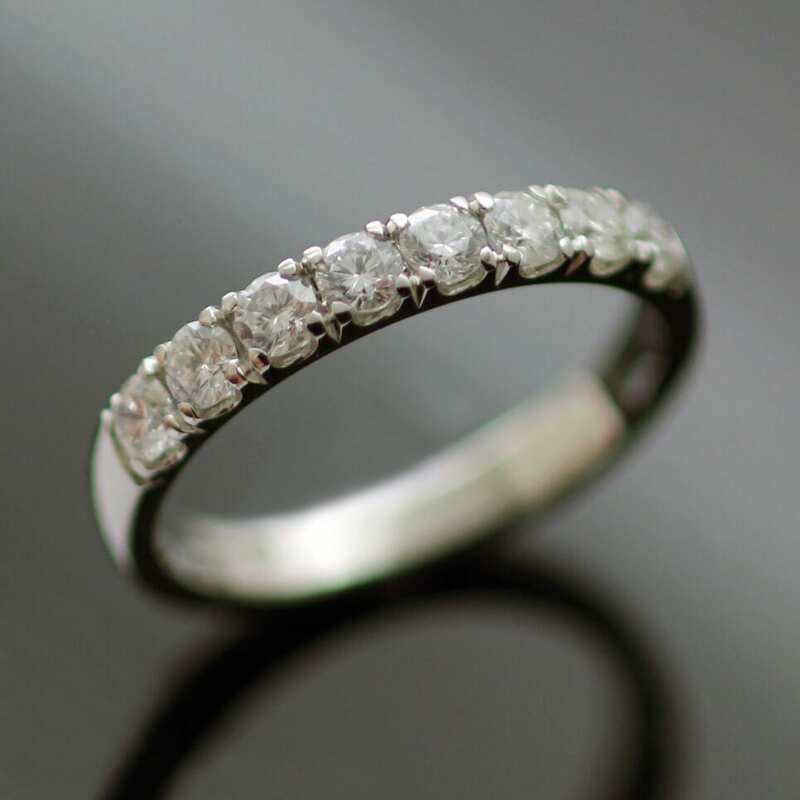 This beautiful eternity band is crafted from the finest precious materials by our master Goldsmith Julian Stephens, it is fully Hallmarked and proudly bears Julian’s exclusive makers mark to indicate its superior quality.